Hi Frugalistas! Regular readers will know I love a splurge meal in key destinations, but will also know that I still like to do it the frugalfirstclasstravel way. So, rather than Michelin stars or the latest hot table, I look for a different sort of first class. In London recently, it just had to be an afternoon tea, that quintessentially English experience. 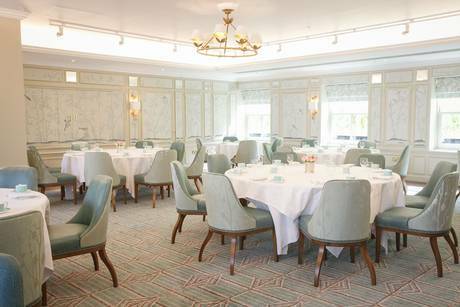 To make it first class, I couldn’t go past the new Diamond Jubilee Tea Room at Fortnum & Mason, opened to commemorate Queen Elizabeth’s Diamond Jubilee in 2012. If it’s good enough for Her Majesty, it’s definitely good enough for me! 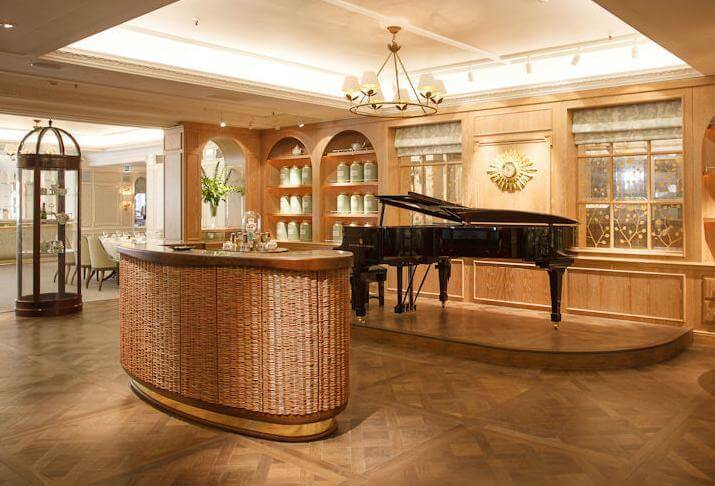 The Diamond Jubilee Tea Room has a large reception area with an accomplished pianist, who played a variety of both classic and modern pieces with gusto. I am greeted warmly and my coat is swiftly dispensed to the cloak room while I am escorted to my table. Tables are spaced widely, adding to the light and airy atmosphere, and keeping noise levels low. A large table of about 10 guests is seated to one side of the room away from the smaller tables. 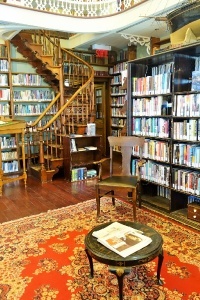 The atmosphere is very much one of quiet, calm gentility. The cool creams and turquoise colour scheme add to this. I am presented with three separate lists. 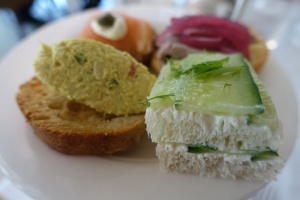 The Afternoon Tea menu, outlining the different food options, a Tea List, and a Wine List. Because it’s a splurge meal, the Afternoon Tea choice is easy – it has to be the English High Tea menu (GBP48) which comes with a hot afternoon tea dish, small cakes and scones, choices from the separate cake table and tea. 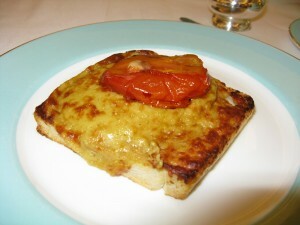 Hot dishes are very English – welsh rarebit, smoked salmon blinis etc. I forego the wine list and just have water, but my tea choice is difficult. What to have? The Tea List runs to some 8-10 pages! Green, black, red or white? Chinese, Indian or Sri Lankan? Blended or single variety? Single estate? Fortunately, the waiting staff are able tea sommeliers, so my choice of a single estate Darjeeling ends up being fairly painless. My darjeeling tea is light and fragrant, just like it’s description. Despite the pot being served with a pot of hot water to allow for a top up, I manage to drink all of it and order a second pot. I make good inroads into that as well! 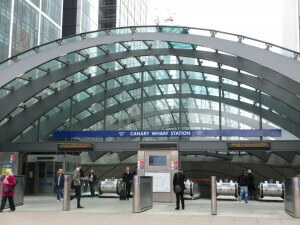 Service is very polished and professional, without being stuffy or obtrusive. Empty plates are removed promptly, water glass is topped up and there are smiles throughout. My fellow diners appear to be a mixture of tourists and locals. There is a gentle dress code for the Diamond Jubilee Tea Room – we are invited to dress for elegance with no shorts or sandals. I’m particularly impressed with the English family sitting near me – dad in traditional tweeds, mum in a smart trouser suit and two little girls in gorgeous smocked party frocks. My final bill comes to STG60 for my high tea, water and extra tea. While I appreciate it is not cheap, I feel it is good value – this really is the best of its type and is first class in every sense of the word. If you want to experience the Diamond Jubilee Tea Room menus start at STG40. 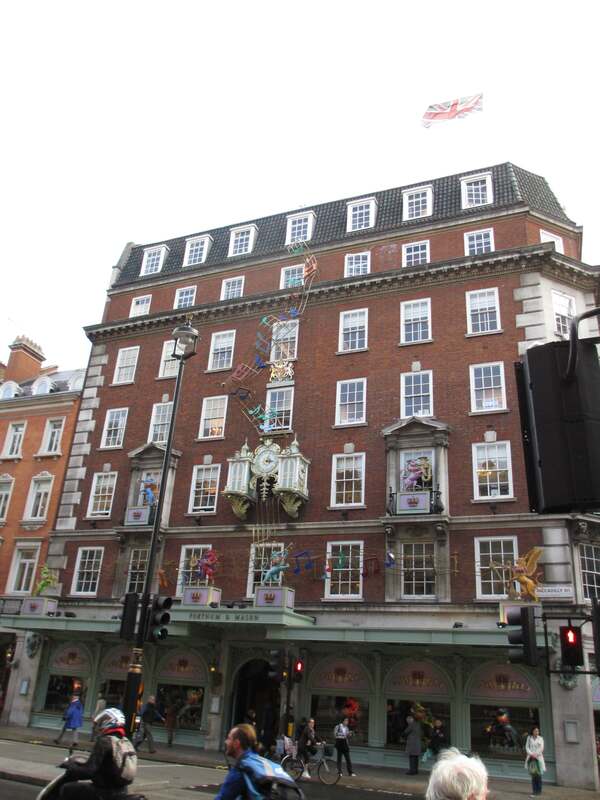 There are a number of other tea room options within Fortnum & Mason if that is outside your budget. 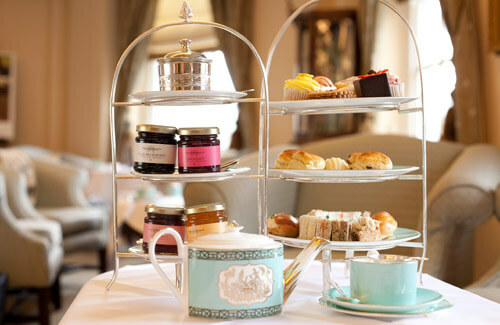 Regardless of where you choose to dine, a traditional afternoon tea, in such a traditional location in London is a must do! One of my favorite spots for a gal pal day 🙂 Also worth checking out…tea at the Orangerie at Kensington Palace. Yes, I’ve heard of that one too. Thanks for adding to the list! 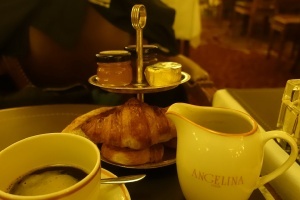 Wonderful – Afternoon Tea is such a treat. Will definitely try it when I get to London. It was fun reading your post – thank for sharing. Thanks, I’m really pleased you enjoyed it! Sounds like such a quintessential hight tea experience! I have never been to London but love going for tea, so this really makes me want to visit. Thanks for the detailed descriptions, everything sounds so elegant and delicious! It was – elegant is really the word – for the setting, the service and the food. Thanks for dropping by and taking the time to comment. I LOVE going to high tea! They do a very nice tea here in Ottawa at the Fairmont Chateau Laurier. I adore scones and clotted cream and, despite the delicate appearance of the food, it is usually very very filling. Me too! Treated properly high tea is more than a meal!